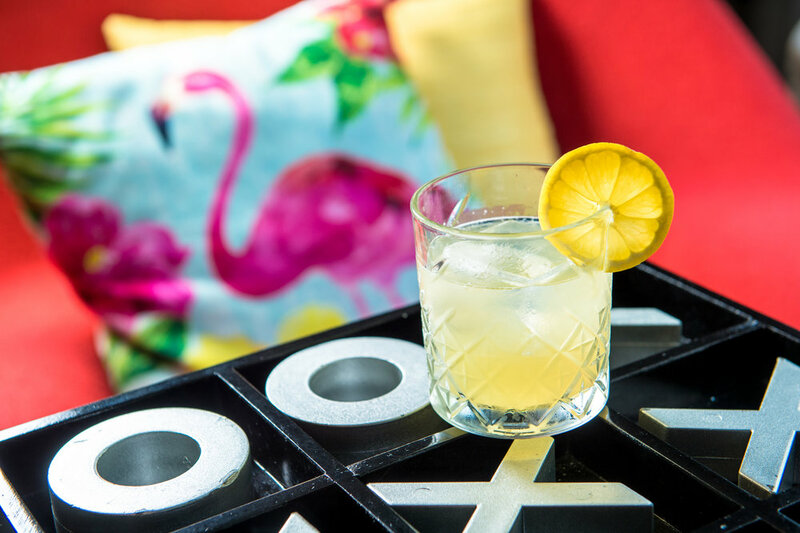 We’ve matched our playful spirit with delicious spirits in the bar. We’ve collected games that kids of all ages love. 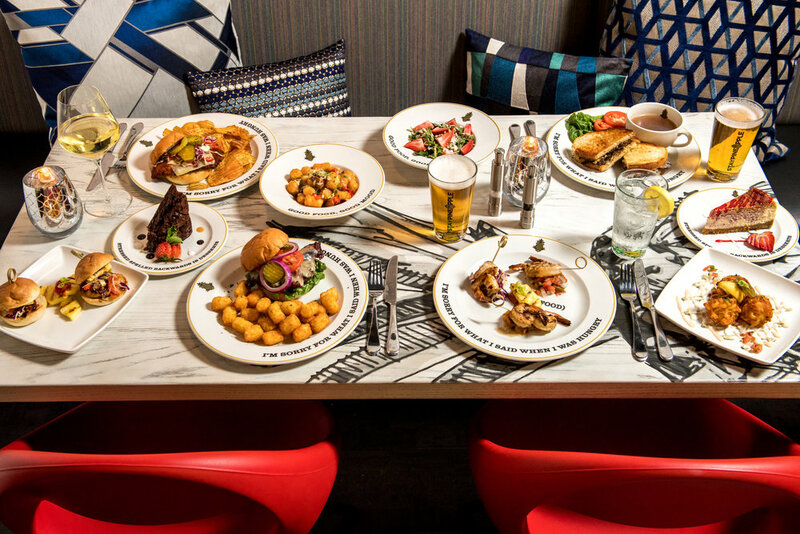 We’ve created a food menu with choices to make everyone happy any time of day. And of course, we can make you a strong cup of coffee, any way you like it. So let’s dive a little deeper into this fabulous new space! Whether you just need a snack heading out the door or would like to sit down for a full meal with your family, we have you covered. In the morning,we have grab and go favorites for those hitting the city early.Looking for a quick, tasty lunch? The full kitchen opens at 11:30 and can satisfy any need from a fresh salad to a juicy burger. The same sentiment continues through the afternoon and until close with savory snacks like tater tots covered in Beecher’s cheese or delicious desserts like the “Smookie” (S’mores cookie) and marionberry citrus cheesecake. 1/2 pound beef patty, romaine, tomato & pickles. spinach, almonds, crispy bacon, feta, sunflower seeds & mixed berry vinaigrette. Topped with sour cream & scallions, stuffed with chili con carne. Fried chicken breast, Tillamook white cheddar, cider slaw, pickles & honey mustard aioli. Shaved roasted beef, tillamook white cheddar, caramelized onion, horsey sauce with au jus on sourdough. Tots covered in Beecher’s cheese sauce topped with scallions, bacon bits & pickled red chiles. House marionberry jam cheesecake on a graham cracker crust. Coffee? We fully subscribe to the “But first, coffee” mantra of life. We have it and can make it for you anyway you like it. Care for something stronger, but in a different way? Our bar menu features your go-to cocktail, or maybe your next favorite like the Pineapple Express. More of a beer or wine type? Plenty of good news there as well with select local favorites and smart international choices like Brut Cava bubbles from Spain and Sauvignon Blanc from France. 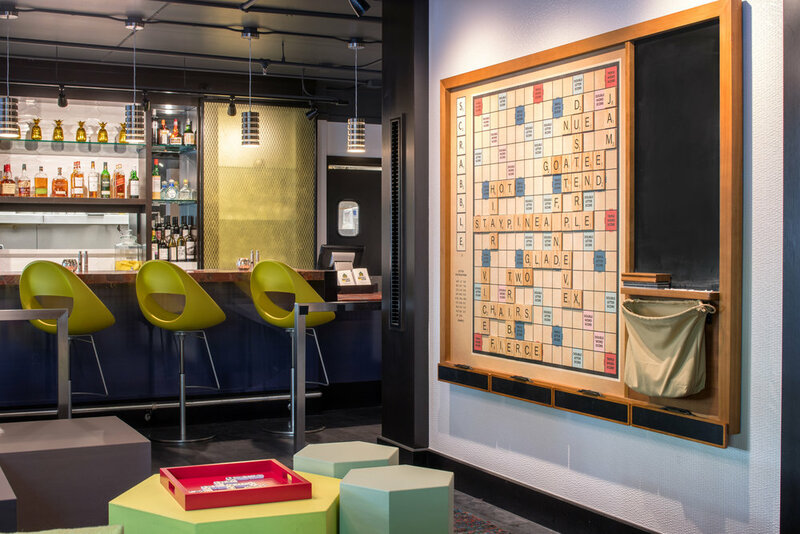 Life is more fun with games, and Hotel FIVE has plenty. 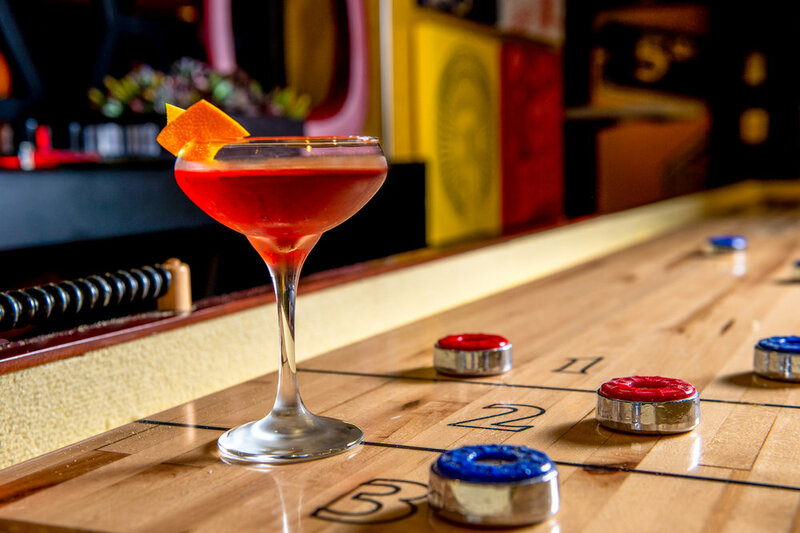 Starting in the lobby, you’ll find artistic versions of Tic-Tac-Toe and Connect Four while a regulation length shuffleboard table awaits your deft touch. Not to be outdone, the restaurant area features multiple classic arcade favorites like Ms. Pacman in an all-in-one free machine. 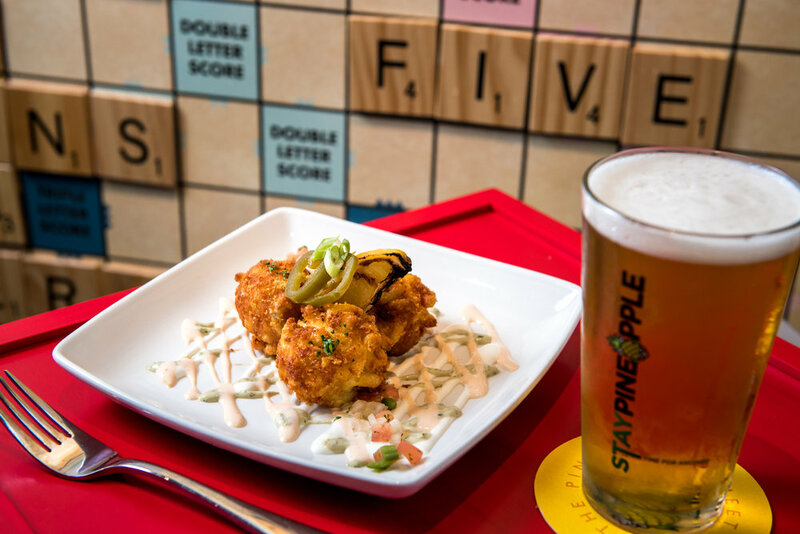 Closer to the bar, a huge Scrabble board has been hung on the wall and awaits your brain power. For finishing touches (and sports in general), the 75” television will be sure to have your game of choice broadcasting in crystal clear HD. Nothing has gone forgotten in this beautiful new space. We hope to see you soon at Hotel FIVE’s Pineapple Bistro & Bar where we’ll have a cocktail waiting and a fresh update on the Ms. Pacman high score.